“What” got me listening in 2004. “You” know these 2002 hits. “Just A Little” touch of 2002. Last year, Adams scored his latest top 30 entry on the AC chart with “Brand New Day”, and though he’s had dozens of hits over the decades, he’s not ready to stop. “You” is the second single from Get Up!, which was produced by Jeff Lynne. (It barely made it into the top 100 on the Billboard 200.) He has a string of live dates planned on the East Coast, beginning in New York City on the 11th. This British rock and soul quartet out of Bath is back on the block with their first new tunes since 2012. It was that year that the act scored their only Alternative top 40 hit to date, “What Makes A Good Man”, which peaked at #32 in October. It’s hard to tell if this single will be well-received after all that time away, but it’s a pretty good sound and one that fits on both formats. Watch out for it. From Norway, this 19-year-old singer, born in Bergen, has already hit the charts in Ireland and the United Kingdom with a remake of “Half The World Away” by Oasis. It was featured in a prominent Christmas advertisement for the John Lewis stores. Though it didn’t hit here, her latest single off All My Demons Greeting Me As A Friend is receiving some good early support from Alt Nation. Clark’s been a high-profile writer in the Nashville community for many years now, and her independent album 12 Stories got good reviews when it was released in the fall of 2013. She now finds herself with a major level and a single at Country radio, and reviews once more have been overwhelmingly positive for the Jay Joyce-produced cut. Will radio’s “Door” swing open for this sassy song? December was an awesome month for this California singer. Her album Untamed debuted in the top 20 on the Billboard 200, and her single “Burning House” got a week at #1 on Country radio. (It’s now crossing over to the Hot AC format.) There’s no need for a distress signal, at least not yet, for Camaron Ochs should be able to sail the choppy chart seas towards a second sales and radio hit. Despite “Go Big Or Go Home” narrowly missing the top 20 at the Hot AC format last year, that’s not going to get this New York act down. In fact, their song about self-respect is an early add at stations in Denver and Orlando on the panel. Of course, the four guys are best known for “Best Day Of My Life”, which spent a week at #1 in 2014. Hopefully, the song will also do its “best” on the chart. The Australian quintet just missed the top ten at Triple A radio with their last single, “Walk The Wire”, but they’re hoping to climb back into the region with their next single. 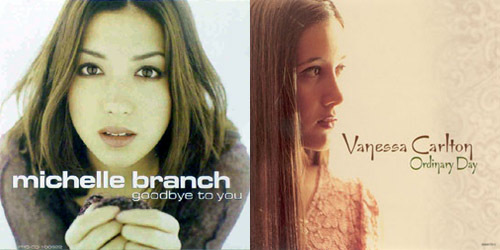 Both tracks are from their album Limit Of Love, which became their second set in a row to reach the top of the album listing in their home country. They begin a tour of the United Kingdom and Europe later this month. Appearing for the first time on our Radio Report is this dynamic duo, Jordan Meredith and Louis Johnson. The Nashville act is on their way to a great era with their first full-length album, Dead Of Night, due March 4. Meredith and Johnson got some assistance from Vince Schumerman on the track, who records as Army Of Me. It recently received a few spins on SiriusXM station The Pulse. Already climbing quickly on my personal chart is the third single from this Ohio band’s Talking Is Hard album. Of course, the huge crossover hit “Shut Up And Dance” came from the effort, and “Different Colors”, which went top ten on Alternative radio. “Work” is already a favorite at their live shows and has great streaming stats behind it. I’m ready for this to get going and become a smash. Last year, Sewell earned his first #1 single in his native Australia with “Start Again” and his first top ten on the album chart with an EP called All I Know. Two of his singles, “Hold Me Up” and a feature on Kygo‘s “Firestone”, have been minor CHR airplay entries at best. Though he’s not had a true breakout moment with the U.S. audience thus far, “Remind” could remind people of his talent.